Our 12 Days of Infusions was such a big hit, we've decided to share 1 more infusion! For this special day, we've got another amazing infusion from the one and only Beth Dixon. Beth heads up the cocktail program at Pasture, an epicurean staple in downtown Richmond, VA. Here's how to make it Place sliced apples, cinnamon and nutmeg into a mason jar. Pour over moonshine and let infuse for 4-5 days. Strain infusion through a fine mesh strainer and discard solid ingredients. Here's how to make it Fill a rocks or collins glass ice. Pour in Apple Pie Moonshine and top with ginger ale. 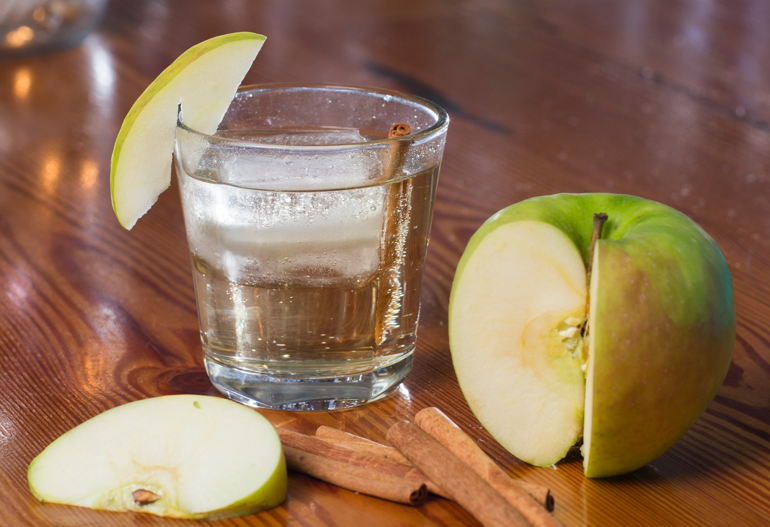 Gently stir to mix and garnish with a fresh slice of granny smith apple and a whole cinnamon stick. "Apple pie moonshine was my first moonshine experience, This is an easy and delicious recipe, great for holiday gifting!"